Armenian Genocide education advocates Mihran and Karen Aroian provided a homemade Armenian lunch for workshop attendees and hosted a dinner at their home, where Austin Armenian-Americans learned about the work of GenEd. 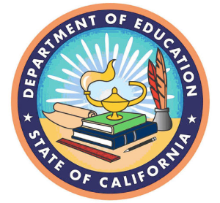 GenEd is partnering with the California Department of Education in its implementation of the state’s updated History-Social Science educational framework. GenEd will develope curriculum on Armenian Genocide education for the state-wide teacher-training project led by the Sacramento County Office of Education, 2018-2020. GenEd will present a workshop entitled “The Ten Stages of Genocide and the Armenian Case” on October 12th at the 1:15 pm, Omni Hotel West, Paluxy III room. In addition to the workshop, GenEd will be offering teaching materials at resource booth #104. Gen Ed will present a full day teacher-training workshop for all newly-hired Glendale, CA high school social studies teachers. The workshop will introduce teachers to Armenian history and culture, methodology and materials for teaching about genocide and the Armenian case. GenEd will present the workshop, “It Starts with Intolerance: Understanding the Stages of Genocide”, on Saturday, December 1st, 9 am in the Columbus KL, Ballroom Level, East Tower of the Hyatt Regency Chicago. Our resource information table will be in the main ballroom, Booth #1120.